The Monmouth County Office on Aging is pleased to partner with the Sheriff’s Office for this new Senior Safety Initiative and bring relief to families who have loved ones that wander. Project Lifesaver’s mission is to use state of the art technology to find people with Alzheimer’s disease, other memory disorders (such as dementia), or Autistic children. For further information, call (732) 431-7450 or click here to view the brochure. Project Medicine Drop is an initiative by the NJ Division of Consumer Affairs. Members of the public are invited 24/7 to deposit unused or expired medications at the Marlboro Police Department lobby or designated locations. More info. and the closest drop box to you can be found at www.NJConsumerAffairs.gov/meddrop . The Marlboro Township Police Department recieves numerouse complaints on Identity Theft. A pro-active approach is the first step to securing your identity and credit history. The Federal Trade Commission offers facts for consumers on Detering, Defending, and Detecting against identity theft (click here). A more in depth booklet by the Federal Reserve Bank of Boston can be printed here. Visit CyberSafe NJ for more information. Domestic Violence, Sexual Assault, Senior Abuse, Child Abuse, and Cyber Bullying/Bullying within schools are primary concerns of law enforcement agencies. Our goal is to help you answer any questions you may have on victim awareness. 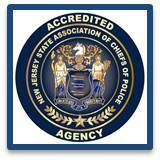 Please click on any of the highlighted links to visit local and state web sites that offer information of frequently asked questions dealing with victim awareness. The Monmouth County Sheriff's Office offers the areas "Most Wanted" fugitives from justice. Please do not attempt to contact, apprehend, or detain any of the suspects; however, call Marlboro Police should you believe you know or see a fugitive on the most wanted list (732) 536-0100. Knowing what to do if a Child is missing is paramount to ensure a fast and safe return. The National Center for Missing and Exploited Children has a quick guide (click here) that depicts a checklist of actions to be taken by families in the initial stages of a missing-child case.